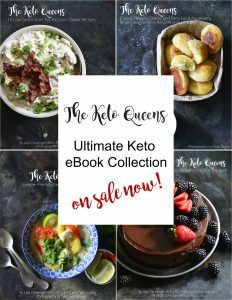 Dairy Products, can you have them on a keto diet? Well, that depends. It truly is something that is specific to each individual. Some people can tolerate all dairy products, others only some and there are even those that cannot tolerate any dairy products. 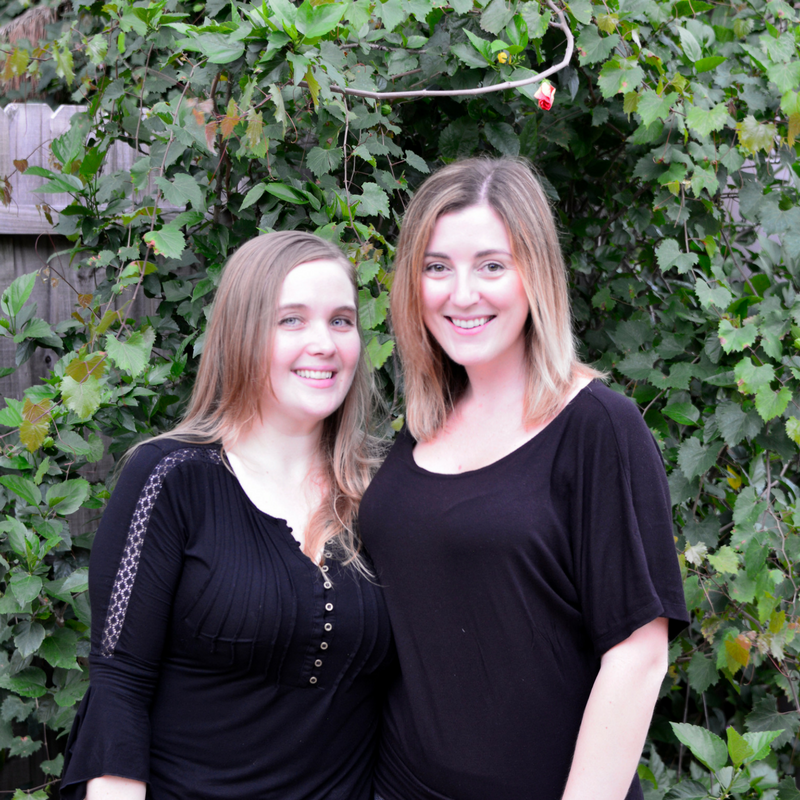 This may be due to food sensitivities, food allergies or a lactose intolerance. 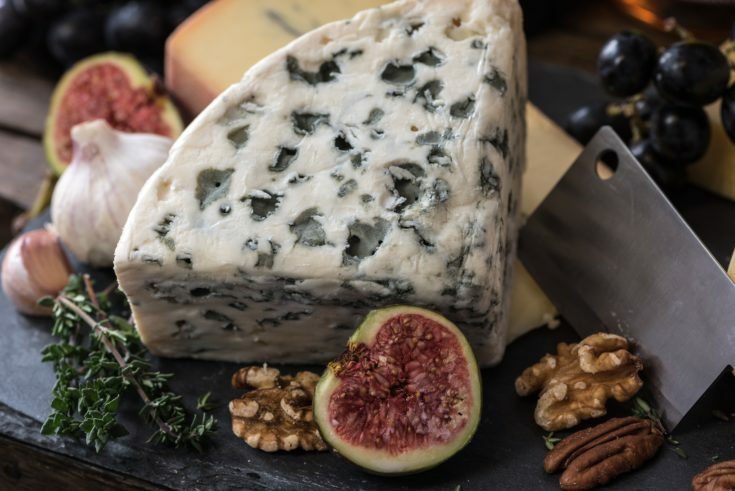 If you want to test and see if you have a food sensitivity to some dairy products (like me), check out this post I wrote about food sensitivities. 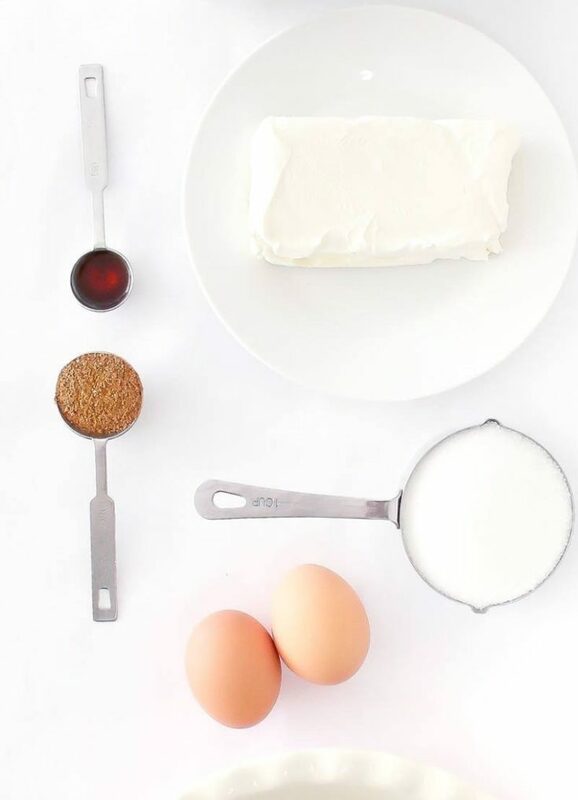 Coconut cream – substitute 1:1 for HWC. This can be whipped too! What is the heavy whipping cream nutrition? Per 100g, 340kcals, 2.7g carbs, 36.1g fat, 2.8g protein. How to whip heavy cream? Pour heavy whipping cream into a cold bowl. Add flavorings and sweeteners if desired. With and electric mixer whisk on high for 60-90 seconds under stiff peaks form. Hand mixing takes much longer. What’s the difference between heavy cream and heavy whipping cream? Not much. Just 6% milk fat differentiates the two. Heavy cream has more fat and weighs in at 36% fat, while whipping cream only contains 30% fat. 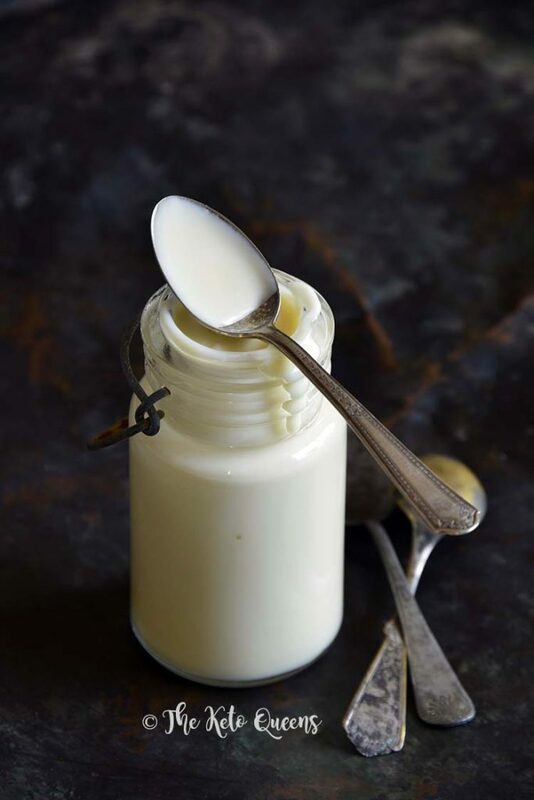 Try this Keto Sweetened Condensed Milk recipe made with heavy whipping cream. It’s a perfect addition to a morning routine of bullet proof coffee. What are the calories in butter. Per 100g. 717kcals, 0.1g carbs, 81.1g fat, 0.9g protein. Is butter a carb? Nah just kidding on this one hahaha. I love Mean Girls! Is butter a dairy product? Yep! sure is. What is ghee? How to make ghee from butter? Butter is approximated 80% fat and 20% water. Ghee is 100% fat. Ghee is made from heating butter and allowing the liquid butter fat and milk portion of the butter to separate from the fat. The milk solids will float to the top. If you cook it longer, the milk will caramelize and become solid. Once you remove the milk solids, the remaining oil is ghee. Ghee is super popular in Indian Cuisines because of it’s rich nutty flavor. One of our favorite low carb Indian recipes is this butter chicken recipe. We also put together a post with our 15 favorite low carb Indian recipes. Ghee is more calorie dense than butter, ghee having ~120 calories per tablespoon while butter has ~105 calories. Ghee has a higher smoke point than butter, so it doesn’t oxidize as easily (485F vs 350F). Ghee is lactose-free, which is good if you have if you have dairy allergies or sensitivities. Ghee has a longer shelf life than butter. Something fun I learned while writing this post, Ghee is also know as liquid gold. How to make ghee? Here’s an awesome article from BulletProof that walks you step by step to make ghee. Is ghee dairy free? It is lactose free. So another fun fact, clarified butter and ghee are not the same. Mind blown! It was only a few years ago that I found out what ghee was. Yeah, I didn’t learn what ghee was in my Master’s Nutrition Program hahaha. Clarified butter is also know as drawn butter. Clarified butter is what is left over after the milk solids and water are removed. What is the difference between ghee and clarified butter? Cooking time. Ghee is cooked longer than clarified butter. An extended cooking length removes all of the moisture from the butterfat and browns the milk solids. This gives Ghee the nutty taste. Milk solids are then strained out and you’re left with liquid gold aka ghee. You’re not going to get the exact same texture as cream cheese, but a good alternative is to puree cottage cheese and then strain over night with cheese cloth. You can also try doing the same with full fat plain yogurt. You can also add butter or cream to either of the mixtures above to add in more fat. Also, yet another new thing I learned while researching this article, Fromage Blanc. What the heck is that? Fromage Blanc is a homemade cultured soft cheese that looks and tastes similar to cream cheese, but is not made with cream. Instead Fromage Blanc is made with either cows milk or goat milks, as well as rennet and a mesophilic culture. Can you freeze cream cheese? You can freeze cream cheese but it does change the texture a bit. Once it’s thawed the cream cheese is a little crumbly and not as smooth. How to soften cream cheese? I forget to take out cream cheese and let it come to room temperature all. the. time. To combat this and not having to wait an hour I came up with a quick fix. 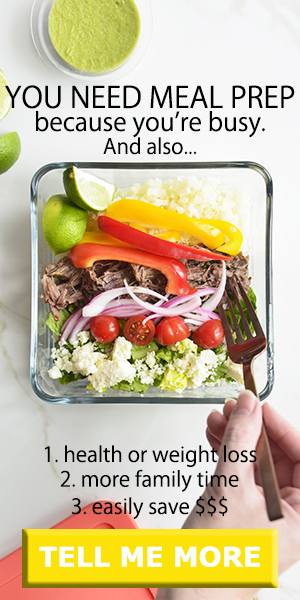 Take the 8oz block of cream cheese out of it’s foil and place it in a microwave safe glass bowl. Then microwave it for 15 seconds on high, making sure not to cook it too long. How to make cream cheese? You’ll need cream (preferably raw), whole milk (raw if possible), a Mesophilic starter culture, salt and cheese cloth. Place cream and milk in a law glass container. Stir in Mesophilic starter culture. Loosely cover and let set out on your counter top for ~12 hours. Once it looks yogurt like, pour the mixture through the cheese cloth and into a large bowl. Let it drain for another 12 or so hours to dry out. Once it has dried out, take it out of the cheese cloth and season with salt or other seasonings if desired. Whoa. That was one of the longest, but most informative posts that I have written in a while. 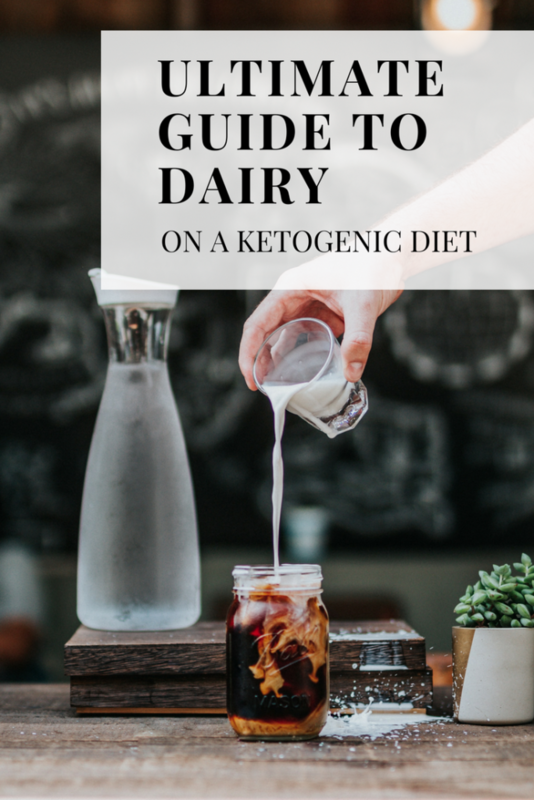 Hopefully by now this will have given you a little insight onto what dairy products you can eat on a keto diet. Let me know in the comments below if you found this post helpful or not. Accidentally bought table cream instead of heavy cream…. I know half and half is also okay but is it better to just go and get heavy cream or make do until the table cream is finished? can you use whole milk to make homemade full fat yogurt? 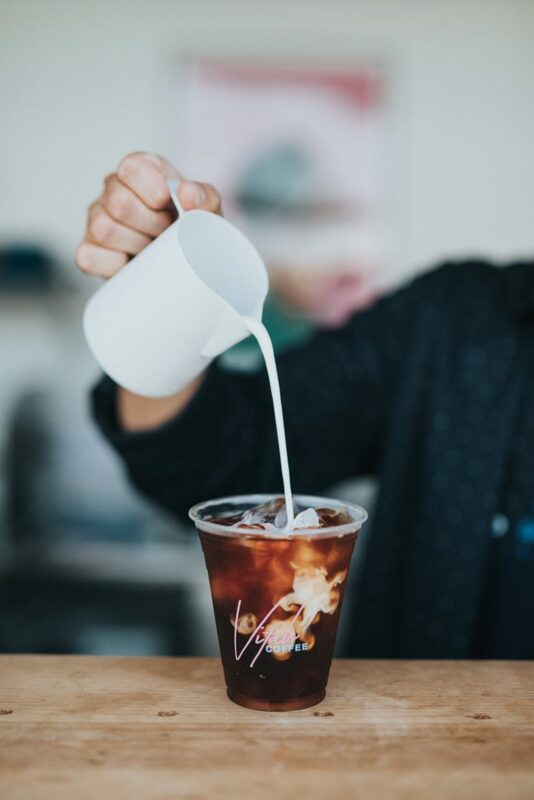 Do you have any brand recommendations for heavy cream? I’m having trouble finding them without additives, and minimizing the milk proportion would be really helpful with an allergy in the household. Is there a widely available grass-fed brand that might fit these parameters? 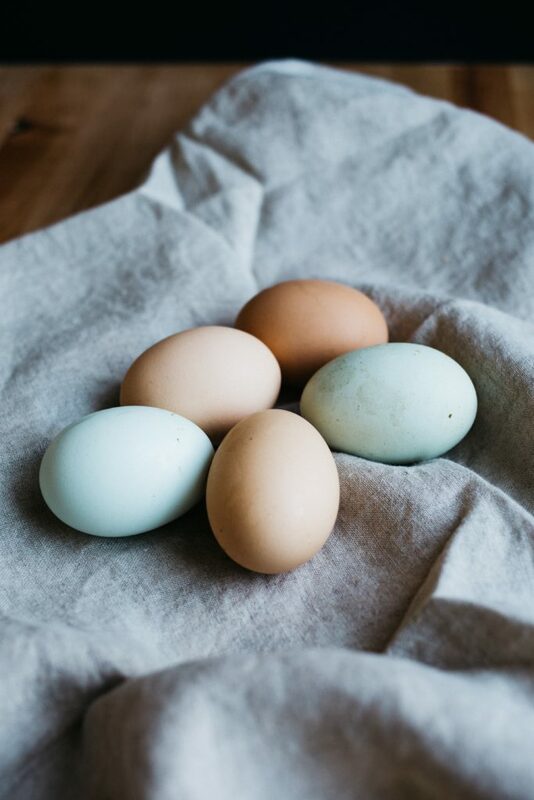 Athena, For grass-fed heavy whipping cream, we recommend eatWILD to find local farms that have grass-fed dairy. How about soured / curdled milk? Is that similar to “Plain Unsweetened Keifer” (kefir / kephir)? Martin, We don’t know the macros for soured milk, sorry for any inconvenience! With Kefir, one is introducing the Kefir fermentation bacteria to the milk, so the result is much better tasting than sour or spoiled milk. More like the flavor of buttermilk.